Finding the perfect place to live is no easy feat as it is, but it’s a pursuit made exponentially harder when you add children into the mix. However, while finding the perfect place to call home with kids may not be as simple as buying a home during your single days, developers are, more than ever before, acknowledging just how important it is for every member of the family to enjoy the building they call home. With that in mind, countless developers have teamed up with top-tier designers to create out-of-this world playrooms your little ones are sure to love. So, where can you find them? 90 Morton Street: If you’re looking for a building that offers accessibility, downtown cool, and plenty of fun for kids, look no further than 90 Morton Street. Designed by architect Asaf Gottesman, with interiors from Leroy Street Studio, this stunning building offers one of the most stylish playrooms anywhere in the city. Brickell Flatiron: Those who call Miami home can enjoy keeping their little ones occupied with the playroom at Brickell Flatiron. Designed by Revuelta Architecture International with interiors from Massimo Iosa Ghini, the waterfront tower’s kids’ space is awash in bright colors, with a space-themed playroom that any kid would love. The Astor: Want to give your kids a great place to play that doesn’t skimp on the design, you’ll love the playroom at The Astor on the Upper West Side. The 1901 building, restored by Pembrooke & Ives, offers a stunning modern playroom for little ones, loaded with creative toys and board games, and with a black-and-white design scheme accented with pops of bright hues, like orange and blue, making the space equally inviting for kids and parents alike. The Chatsworth: Looking to keep your kids entertained on one of New York’s many cold and snowy days this winter? The Chatsworth has you covered. Not only does this Upper West Side luxury building, with interiors from Pembrooke & Ives, have a beautiful playroom full of toys and options for creative play, it also has a separate active play space, where kids can kick a soccer ball, run around, and generally get out that pent-up energy. The Lindley: One of Manhattan’s most family-friendly neighborhoods is also home to one of the city’s best playrooms. At The Lindley, a collection of 74 Murray Hill luxury condos designed by Rawlings Architects, the building is the perfect place for little ones to entertain themselves, thanks to a residents’ lounge and landscaped rooftop perfect for playing. 88 and 90 Lex: This NoMad luxury building is home to one of the city’s most stylish places for kids to play. Designed by Workshop/APD, 88 and 90 Lex is home to 8,000 square feet of amenities, including a playroom perfect for kids of all ages, offering games, toys, space for creative play, and even space for active play, right inside the building. 70 Charlton: West Soho has long been a sought-after neighborhood, thanks to a wealth of shopping, dining, and cultural activities in the area, and now this convenient enclave is home to one of the city’s best playrooms, too. At Beyer Blinder Belle-designed 70 Charlton, home to interiors from Workshop/APD, kids can play in comfort and style, thanks to the building’s elegant playroom, as well as getting out their energy in the building’s indoor saltwater pool. One Manhattan Square: Extell Development and Meyer Davis Studio have teamed up to create one of the city’s best buildings for adults and kids alike. At the Lower East Side condos at One Manhattan Square, kids can have fun in the building’s stylish children’s playroom, hang out with friends at the teen arcade, take a dip in the children’s wading pool, and get out that excess energy at the building’s outdoor playground, too. 180 East 88th Street: DDG Group-developed and designed Upper East Side luxury building 180 East 88th Street offers little ones the perfect place to hang out with friends and enjoy some creative play, right in the privacy of their own homes. The building’s playroom, wrapped in a cityscape mural, offers tables for creative play, plenty of toys, and even an indoor slide, making those trips to the park on rainy days obsolete. 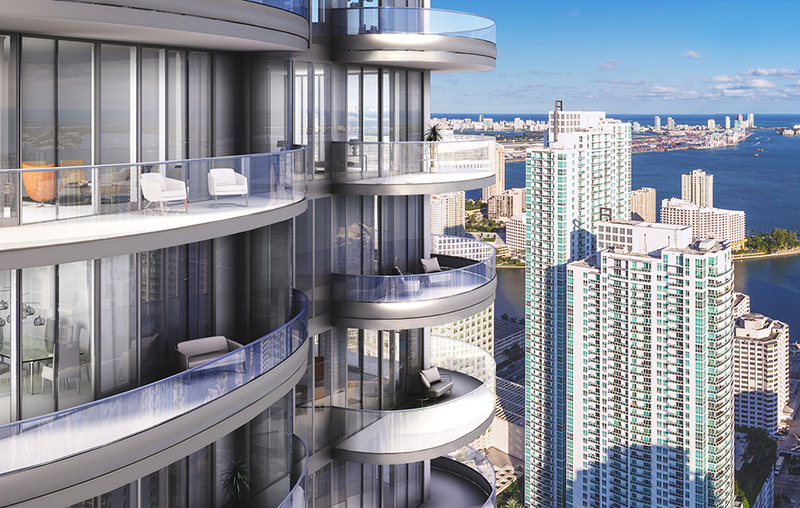 555TEN: Who says that you have to buy to enjoy the same amenities as a luxury condo? At Extell-developed 555TEN, residents can enjoy a children’s playroom right inside the building, as well as plenty of opportunities to expend some energy, thanks to the building’s indoor and outdoor pools. If you’re looking for a new home, it’s time to start looking beyond crown moldings, hardwood floors, and amenities for adults. Luckily, the latest luxury buildings on the market are home to a wealth of extras for little kids, as well, making it easier to make the most of those snowy or rainy days and giving your little ones plenty of excitement to be had right at home.